Do You Really Understand Just How Abusive Your Ego Is? Let's look at the analogy of your ego - as if this part of you was a separate individual. Would you stand in front of someone while they were delivering a whole heap of unhealthy, insane, abusive, damaging and disgusting versions of you and your life and listen to it? Understand if you stand there and argue with an abusive individual, you get damaged. If you do this, you have serious problems with setting boundaries. 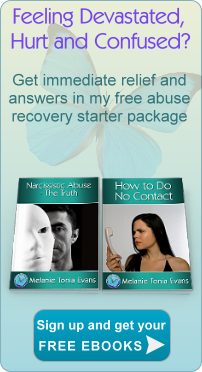 Know that your ego is every bit as abusive as another damaging individual. If you have a 'fight with yourself' you're trying to justify yourself to your ego and convince it you aren't this person, you don't have these fears, you don't have doubts and you really are capable. Your ego loves this because it will trick you into thinking that you can win the argument, that you can convince it and resolve the issue, and that you'll receive peace after having this struggle with yourself. Your ego will keep coming back at you again and again, and just like any abusive person who simply won't get it, wants to project fears and doubts, and not find peace within. The argument will continue to resurface and never be healed. 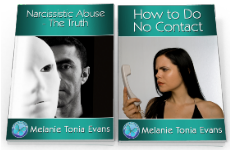 Think about this - how exhausting is it trying to argue and justify yourself with a person who is continually abusing you? If you don't disconnect and get away from them, you eventually give in and start agreeing with their version of you just to get some peace. Inevitably if you keep hooking into your ego you'll end up doing the same thing. Eventually you'll be so worn down that you'll accept and agree with the inner dialogue of 'I'm worthless and a failure'. Society's concept of 'ego' has often been recognition of arrogant and bombastic behaviour. How many people realise this constructed false self is a cover-up for the painful torturous thoughts and feelings of unworthiness that the world doesn't see? Be very clear that the ego is also responsible for people who display insipid and power-less behaviour. The ego creates all 'less than' human behaviour. Your ego is your greatest problem in life. There truly is no fight going on outside of you. The only enemy is within. Our ego is the part of our personality that loves manufacturing 'less than' experiences. Our ego feeds on fear, doubt and pain. The more we attach ourselves to our ego thoughts, the further we move away from our soul truth. Be very clear - your ego is not the real you! It is the polar opposite of who you really are, but it is not your True Self. Our 'dark side' is ego. Our 'light side' is True Self. We can only manifest love, happiness and success when we are operating from our True Self. We will always manifest recurring pain from our false self. Of course we have to know darkness in order to know the Light, and it is only through conquering the darkness (fear) that we can move into the Light. The entire physical plane consists of polar opposites: good/bad, hot/cold, up/down and so on. We wouldn't know 'good' if we weren't exposed to 'bad'. When we understand that our ego is a false self, we need to know how to get out of the darkness and stay out as much as possible. Simply knowing our 'dark side' (false self) exists is enough to grant us comparison and choice. We do not need to live this reality directly in order to choose a loving and happy state. The more you subdue and dissolve your ego, the freer you are to experience a wonderful life. We know ego wants resolution on its own terms and isn't content to accept the version of higher truth that our True Self embraces so easily. We're given free will. It's our choice as to which version of the truth we connect to, and there are profound differences with these truths. Your ego always wants to re-hash and replay the past scenarios. This is a very clever trick of the ego because it makes you believe that by rethinking the pain you'll get some answers. Your ego tells you this is a necessary process. Your ego loves to judge situations as 'right' or 'wrong' and takes matters very personally. However, doesn't our experience of this version of 'the truth' that keeps us stuck in the past, and the continual turmoil it brings to our entire life, keep delivering pain? We know, oh so well, this simply does not work in relation to who we want to be and where we want to go. Yet our heads continue to analyse something to death, coming up with thirty different realities (none of which stick or bring us any peace). And we keep doing it over and over again, cementing our fears, our 'less than' belief systems and subsequent negative DNA programming deeper into our lives. We don't move on, we don't create new positive experiences on these issues, and even if we temporarily did, it's likely that either consciously or subconsciously we'll sabotage it and end up back at square one again. Our ego clings to injustice. Perceiving injustice keeps creating injustices in our life, and may keep recreating it for centuries. True Self knows on a heartfelt level that painful experiences produce amazing opportunities for healing and evolution. It understands the concept 'it is what it is', and removes all personalisation and judgement from the experience. True Self knows that breakdowns create breakthroughs, and there's always a gift in the situation. True Self has no need to replay the incident over and over again. True Self goes forward, resolved, and takes the learning with peace and empowerment into the now. Our True Self embraces resolution and encourages us to make self-loving shifts. These adjustments (rather than actions of 'injustice') work with regard to who we truly are, and what we truly want to experience. You can choose to embrace the True-Self version, or you can attach yourself to the obsessive painful version that your ego tricks you into re-creating. You cement yourself further into the pain and attract more of the same pain over and over again. So what are you going to decide? Are you going to rise up into empowerment, or are you going to remain a victim? Decide now, because the decision is yours and no one else's. It is really easy to understand what your ego is and what True Self is. Your ego supplies you with feelings of constriction, pain, obsession, fear and severe dis-empowerment. Your energy levels drop and you feel tired, anxious and overwhelmed. Because your thoughts are focused on past pain or future fears you are significantly disabled in the moment. You feel needy and anxious. Your True Self (your natural state of being) supplies you with feelings of calm, peace, happiness and clarity. Because you are in the Now, you are functional, creative and expansive. The following quiz will not be effective unless it is done with honesty. To experience authentic love, success and happiness, there is a real need to drop defence mechanisms and confront ourselves squarely. This is the only way through to freedom - which can only occur if we work hard at dissolving the ego. Do you think and feel that outer life needs to deliver you 'things' in order for you to be happy? Do you struggle to take responsibility that you have created the aspects in your life which haven't worked? Do you blame people and situations outside of yourself when things go wrong? Do you often feel needy and try to make things happen in order to feel better? Do you have trouble accepting other people's opinions and viewpoints? Do you struggle to be vulnerable and real around other people? Do you believe your happiness is dependent on how other people see you or what you have? Do you find it difficult to encourage and grant other people compliments? Do you employ competitive behaviour and feel envious and jealous of other people that may have or experience things you don't? Do you fear that people who love you can hurt you or control you? Do you struggle to maintain peace, harmony and co-operation with people? Do you have trouble trusting people and situations - and expect people and life to act in ways that are 'wrong'? Do you put on a front around other people so that they may like you? Do you think that you are 'on your own' in life? Do you feel defensive when confronted with issues? Do you judge negative things that show up in your life and have trouble understanding the gift? Have many of your problems been replaying the same themes? Do you struggle to take responsibility with humility when you make a mistake? Your ego is running your life. You will be experiencing great feelings of separation from happiness and other people. You are extremely self-critical and self-judgemental (fearing other people might see this), and have to put in a lot of work to love and embrace yourself. It is likely that you experienced a hard and painful childhood. You may have undergone many painful repeat events in your life. To amend this self-work and self-healing is fundamental. Nothing will change until you do. Even though you may experience some 'wins' in your life it is likely that these will be transient. Your life may be a roller-coaster of feeling good then feeling extremely disappointed when life isn't delivering you what you believe it should. It is time to release your need to 'make things happen' and work on your self-healing enough to 'allow things to happen'. It is necessary for you to learn how to embrace and love yourself. Judgement of self, life and others is blocking you from reaching your full potential. By learning how to love and accept yourself and by taking responsibility that you create every incident in your life 'as a gift' - you'll be able to improve your life. You are human, and as such may still struggle at times with your ego. Even though you have an ability to let go and trust the processes of life, you may wish to dissolve the last pieces of your ego to truly become a divine creator of love, success and happiness. If you are consistently holding this space of self-reflection and responsibility for every creation in your life - you are truly blessed with an abundance of authentic love, success and happiness. Congratulations! Share this example with others and be a shining light healing the separatism of humans to wholeness, love and oneness. The world needs people like you!